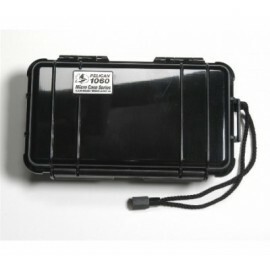 Pelican Mini Cases protect the important things in life, like iPhones, iPods, keys, your wallet and other small items. Don't be fooled by their small size, because these cases are built tough. 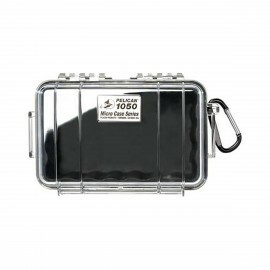 With a hard polycarbonate shell, these pelican cases are virtually indestructible, so you don't have to worry about your valuables being damaged. Worried about water damage? Don't be, these micro cases have a protective o-ring seal that keeps water and moisture out. The inside of Pelican Micro Cases is a rubber lining that won't scratch your gear. 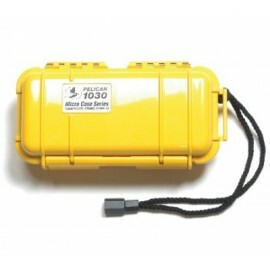 These pelican cases are available in various colors and with clear lids to meet your style. Check out our selection of Pelican iPhone/iPod Case that are specifically designed to fit your iPhone or iPod. 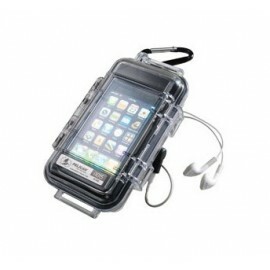 Micro cases for iPhones have the same great water resistant features as other pelican cases.